Place base plate on foundation. Use double nuts (top and bottom) to level and secure base. 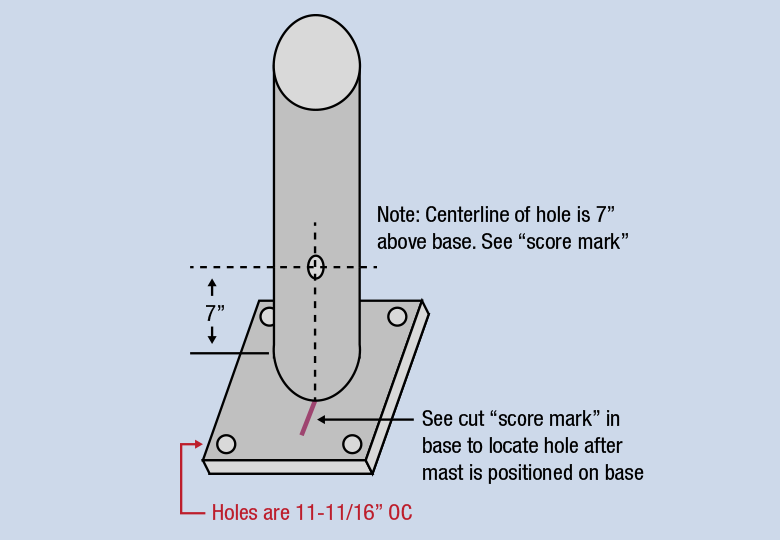 See the side notes for locating the Shear Pin Hole after mast is placed over it. Place Mast on Base. Allow to swivel at this point. 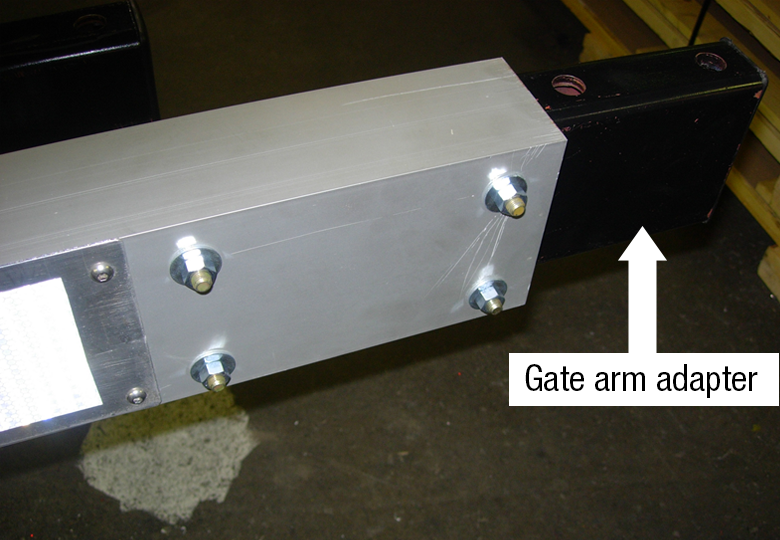 Attach Gate Arm & Adapter to Cross Arm using two (2) 6-1/2" bolts, lock washers and nuts. Add counterweights to the pin plate. Add four (4) 12" x 18" x 1/2" plates to the right side pin plate. Add five (5) 12" x 18" x 1/2" plates on the left pin plate. Add six (6) plates and five (5) plates respective to above instructions. Secure in place by using washers, lock washers, and nuts. 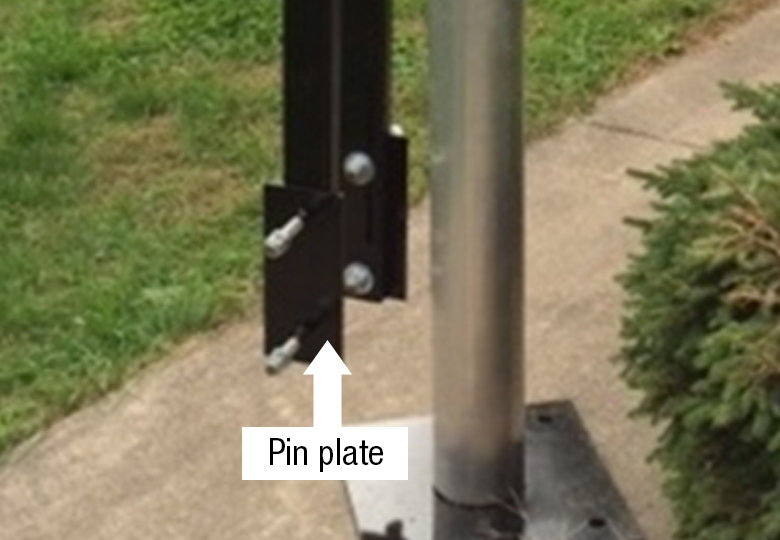 Install three (3) solar lights per gate on brackets provided. 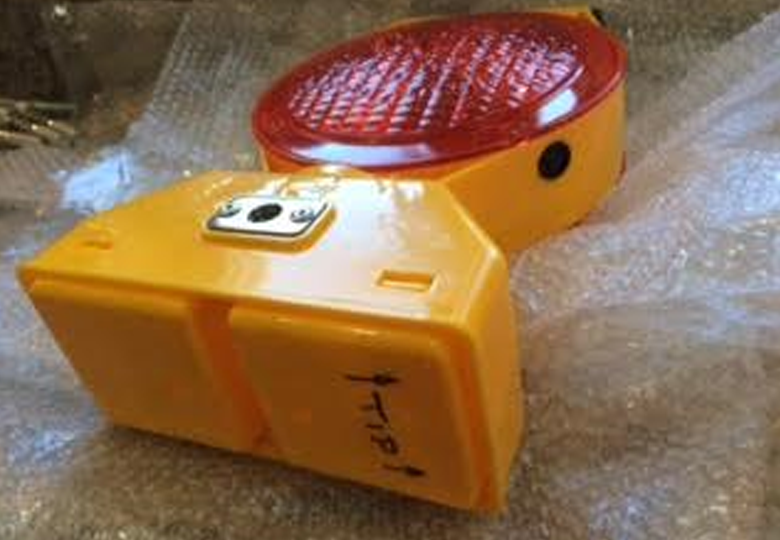 Note: Examine underside of each light and ensure "tip arrow" is pointed toward tip of gate. This will ensure light is "on" in the horizontal position and "off" in the vertical position.